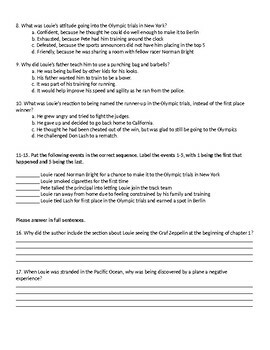 This test covers Unbroken Chapters 1-3 (Louie Zamperini's childhood through his success in the Olympic Trials for the 1936 Olympics). 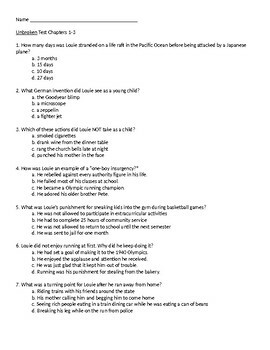 The test is a mixture of multiple choice and short answer questions. I created this while using the EngageNY lessons on Unbroken. 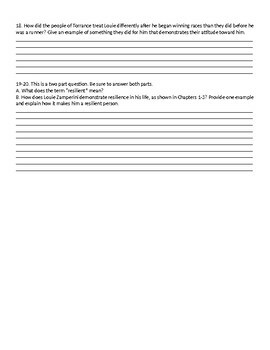 An answer key is included and the test is editable.